The circuit breaker market is projected to reach USD 8.68 billion by 2022, from an estimated USD 6.85 billion in 2017, at a CAGR of 4.85%, from 2017 to 2022. Increasing construction and developmental activities, growing access to electricity in developing countries, and the rising number of renewable power generation projects are the major drivers of the circuit breaker market. Price volatility of raw materials can hinder the growth of the market. The renewable end-user segment is expected to grow at the highest CAGR, during the forecast period. Increasing investments in renewable energy sources to curb CO2 emissions and the growing need for access to electricity are the major factors driving the growth of the renewable segment of the circuit breaker market. Circuit breakers are used to detect the fault current and protect electrical equipment in the grid. The market in Asia Pacific is currently the largest for circuit breakers followed by the North American market. Rising investments in construction and developmental activities and increasing electricity demand are driving the circuit breaker market in Asia Pacific. The leading players in the circuit breaker market include ABB (Switzerland), Siemens (Germany), Eaton (Ireland), Mitsubishi (Japan), and Toshiba (Japan). The report defines, describes, and forecasts the global circuit breaker market by voltage, type, end-user, and region. It also offers a detailed qualitative and quantitative analysis of the market. 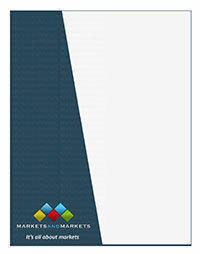 The report provides a comprehensive review of the major market drivers, restraints, opportunities, and challenges. It also covers various important aspects of the market. These include an analysis of the competitive landscape, market dynamics, market estimates in terms of value, and future trends in the circuit breaker market. The report identifies and addresses key markets for circuit breakers, which would help manufacturers review the growth in demand.